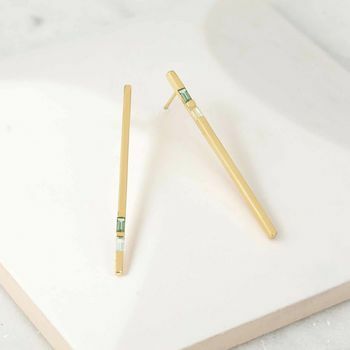 These earrings have a contemporary aesthetic with a minimalist look and feel. The handmade earrings feature long metal bars, which are accentuated by four baguette cut green Peridot gemstones. The geomatric earrings are set in 18ct Gold Vermeil on Sterling Silver and have a butterfly pin. 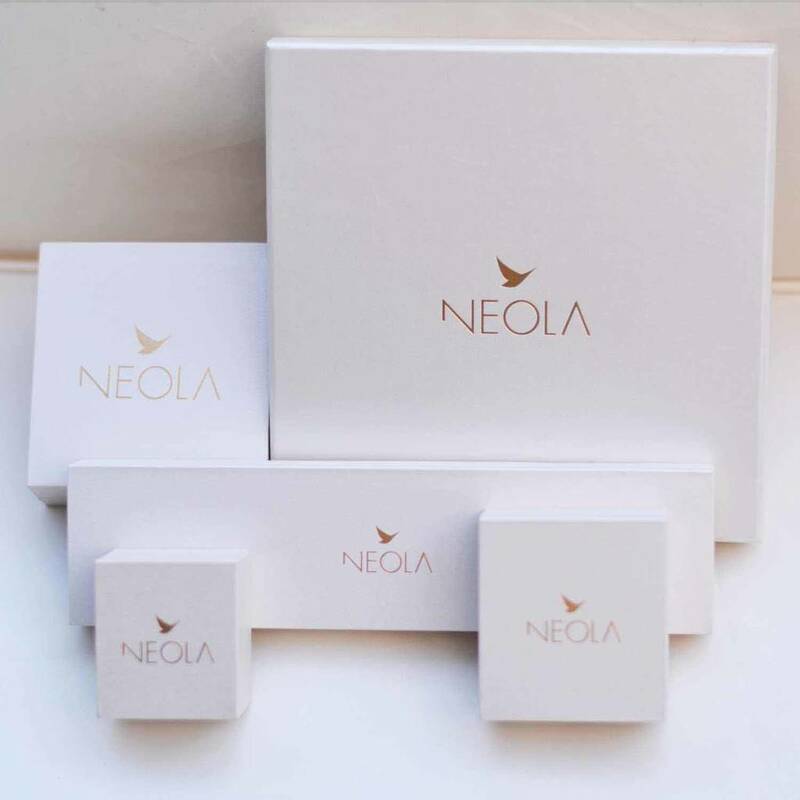 This original designer piece has been handmade and ethically produced by our artisan craftsmen using only the finest precious metals.Our jewellery is presented in a branded Neola box.These earrings are the perfect gift or treat for you.